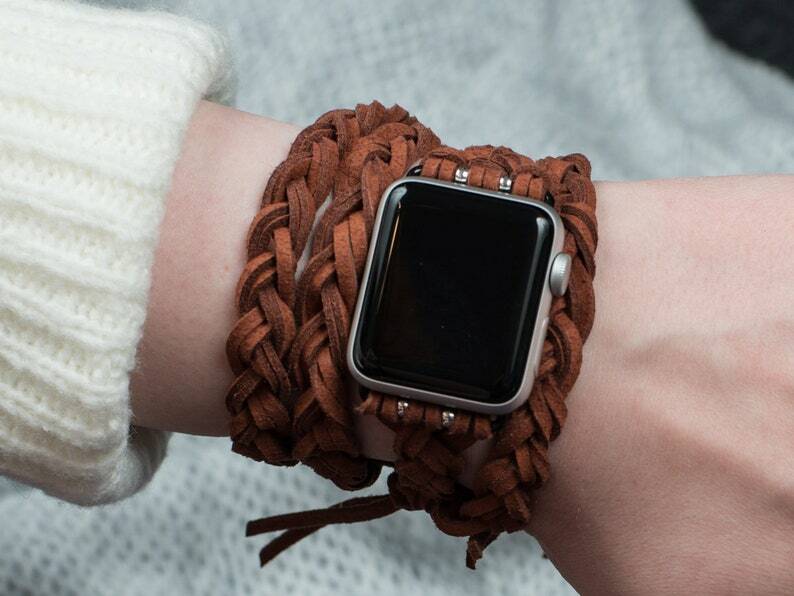 Apple Watch braided handmade band, designed and made by Gopher. Beautiful, handcrafted Apple Watch band with super durable metal climbing carabiner closure. Fits all the original Apple Watches. Using fabric tape, encircle the part of your wrist where you will be wearing your watch. If you can't find your size in the dropdown, please provide exact measurement in comment box during the ordering process. Package contains one band. Apple Watch is not included. You can also request custom order by clicking "custom order" button. I can create watch band especially for you. If you have any questions or doubts feel free to ask. You can write a direct message to the shop by clicking the message button or via email (gopherhandmade@gmail.com). Es sind wunderschöne Boxen, sehr gute Qualität. Der Kontakt ist sehr freundlich und die Abwicklung insgesamt unkompliziert. Exceeded expectations! The case was also custom made to fit my Lenovo without any issues whatsoever! Wonderful experience! Good product and well made. One improvement - use magnetic closures for the top - it currently has snaps and they’re just a little bit awkward to put together. A magnetic solution that “wants to grab” the other side would help keep the bag closed in an efficient way.